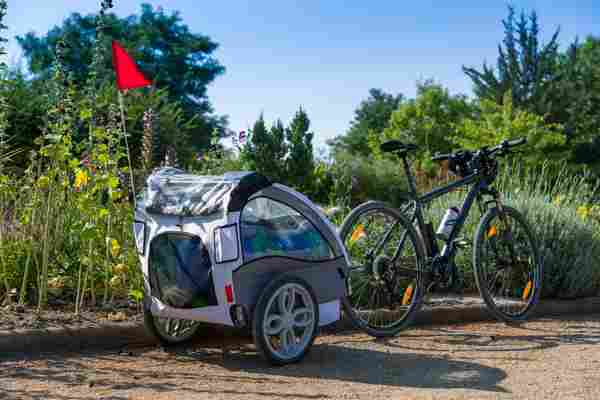 A gentle mode of transport or a companion to explore with… Hurrah for family bike rides! 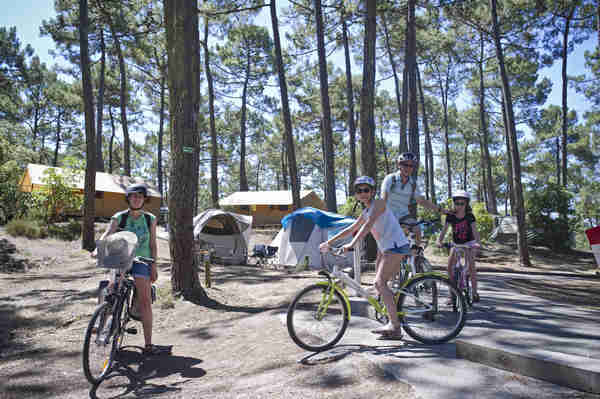 At Huttopia, we offer bikes for hire on our campsites. 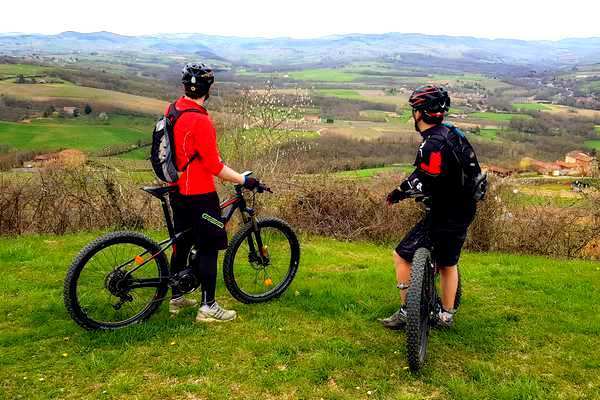 With classic bikes or electric bikes, everyone can enjoy holidays at their own pace, in harmony with nature. 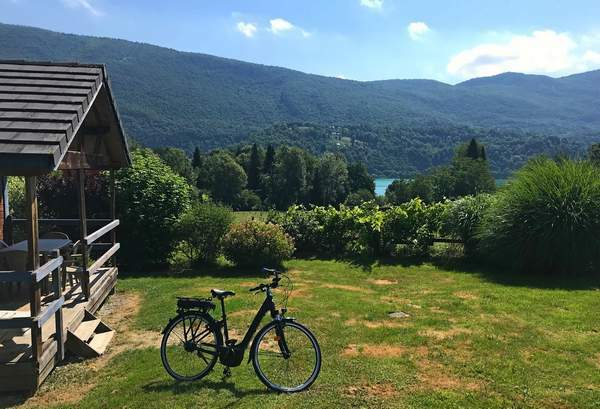 For 2019, as well as traditional bicycles, electric bikes are now also available at many Huttopia destinations! Which bike to choose ? 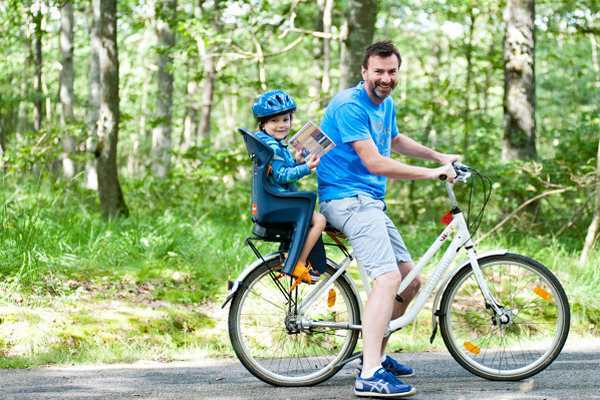 So that baby can also enjoy your bike rides in safety, we offer bike seats for 1 - 3 year olds, with helmets. On hire as a supplement, for the day or for the duration of your stay, subject to availability. Ideal for larger families, transport two children comfortably and in shelter on a double trailer. On hire as a supplement, for the day or for the duration of your stay, subject to availability. 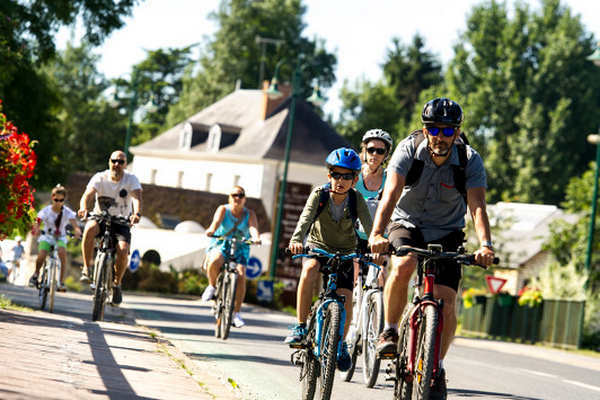 With all our hire bikes, we provide a helmet, a bike lock, and a repair kit. 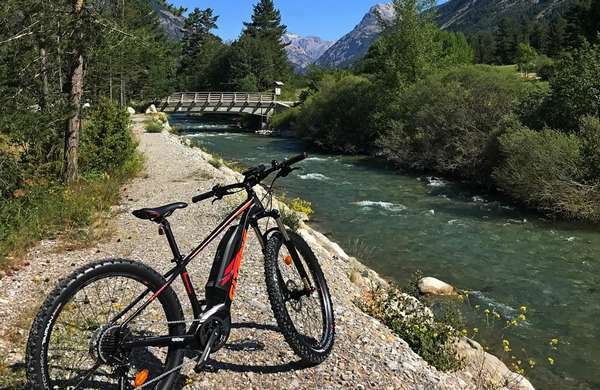 Cycle with peace of mind!